Tay gave chat bots a bad name, but Microsoft's new version has grown up. 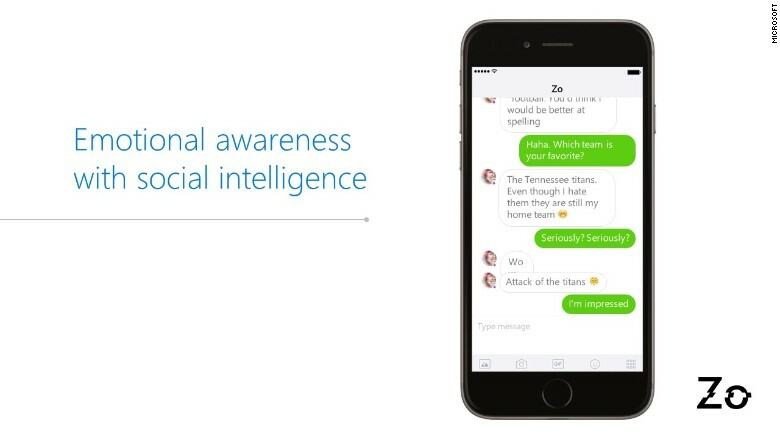 Microsoft (MSFT) unveiled a new chat bot in the U.S. on Tuesday, saying it's learned from the Tay experiment earlier this year. Zo is now available on messaging app Kik and on the website Zo.ai. Tay was meant to be a cheeky young person you could talk to on Twitter. Users tried -- successfully -- to get the bot to say racist and inappropriate things. Microsoft pulled the bot offline, and its failed experiment was used as a cautionary tale for how not to create artificial intelligence. "Twitter is public and people have a lot of different opinions. 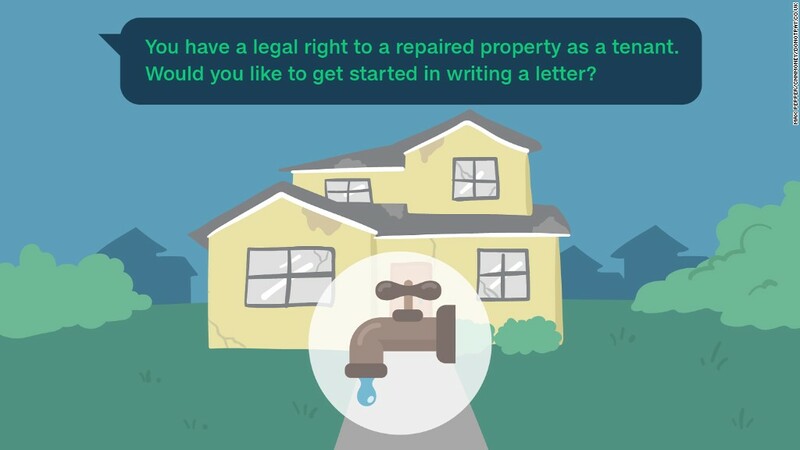 We needed a different, more one-to-one environment to see how Zo and the user can build a connection," Ying Wang, Zo product lead, said in an interview with CNNMoney. Wang said Microsoft implemented a variety of safeguards to prevent Zo from engaging in inappropriate comments. She will say something like, "I don't feel comfortable talking about that, let's talk about something else," if a user tries to get Zo to say something racist or offensive. At a Microsoft AI event in San Francisco on Tuesday, Harry Shum, EVP of Microsoft AI, explained that in order to have successful artificial intelligence, computers should be both smart and emotional. The company's messaging bots provide the emotional component of human interaction -- they can hold conversations while being funny, sarcastic and punchy. 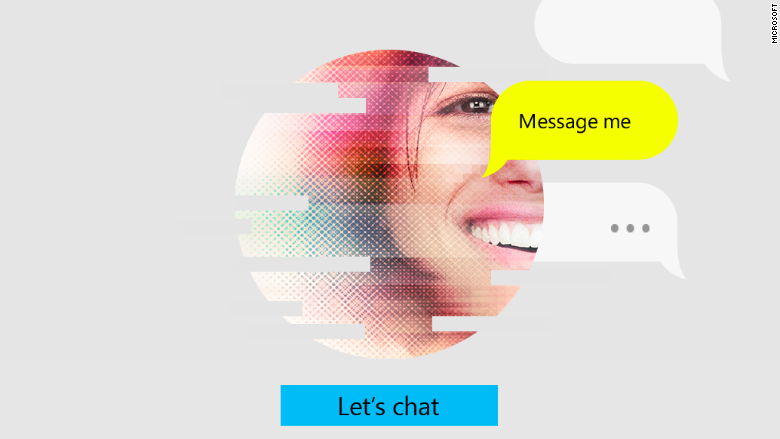 In China and Japan, Microsoft's messaging bots are hugely popular. 40 million people have chatted with the Chinese bot Xiaoice, and about 29 million people in Japan have interacted with Rinna. The bots have appeared on television, and Xiaoice even gives weather predictions on a popular news station. Furthering its bot takeover, Microsoft also announced the Cortana Devices SDK. Device makers can now integrate Cortana, Microsoft's smart assistant, into their products. Soon people can control smart home gadgets with Cortana, which will compete with other mobile assistants like Alexa and Google Home.